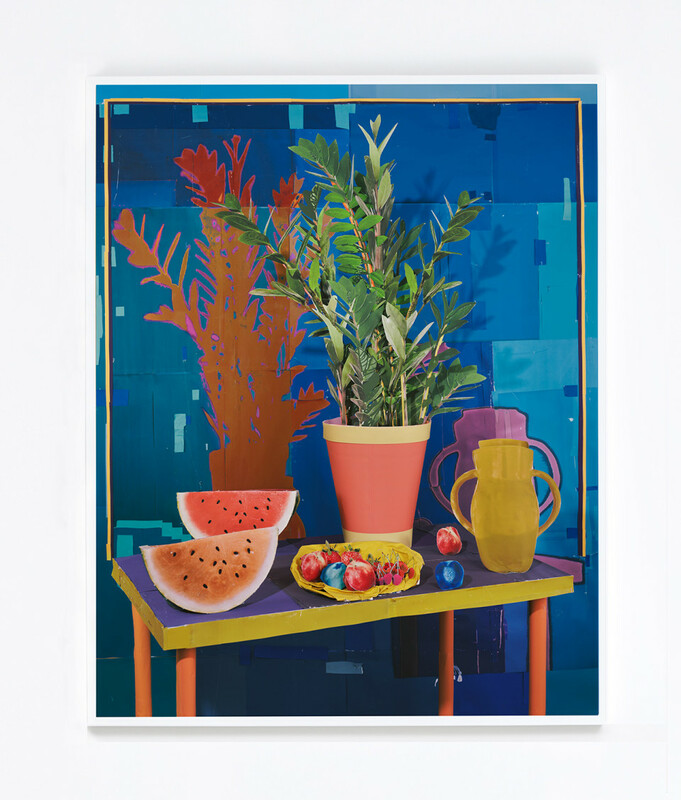 M+B is pleased to present Daniel Gordon: Selective Color, the artist's second solo exhibition with the gallery. The show runs from April 28 through June 17, 2017, with an opening reception on Friday, April 28 from 6 to 8 pm. Daniel Gordon uses both analog and digital photographic processes to compose, manipulate and redouble content. 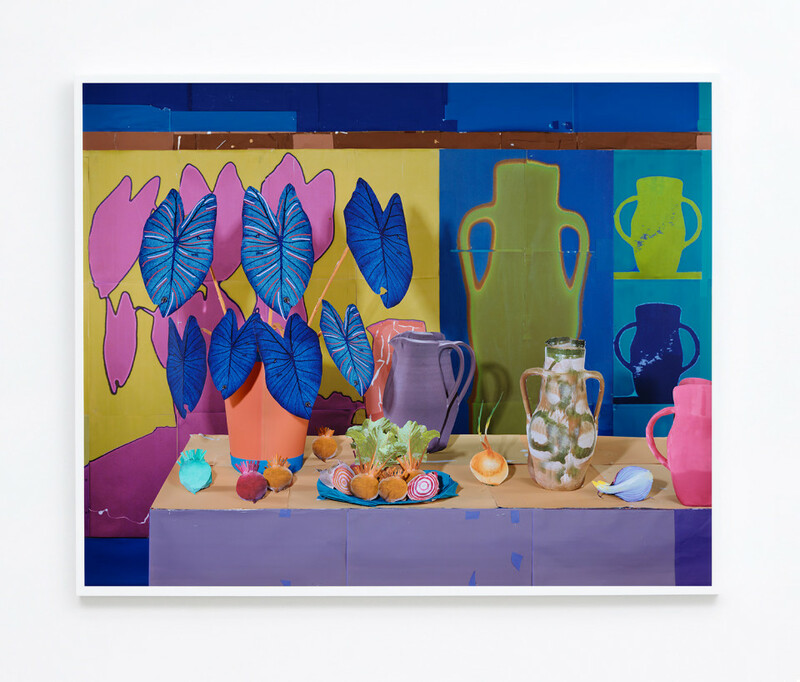 In recent years, the artist has adapted the art historical genre of the still life as a means to work across multiple formats, bridging the handmade with computer-based processes. 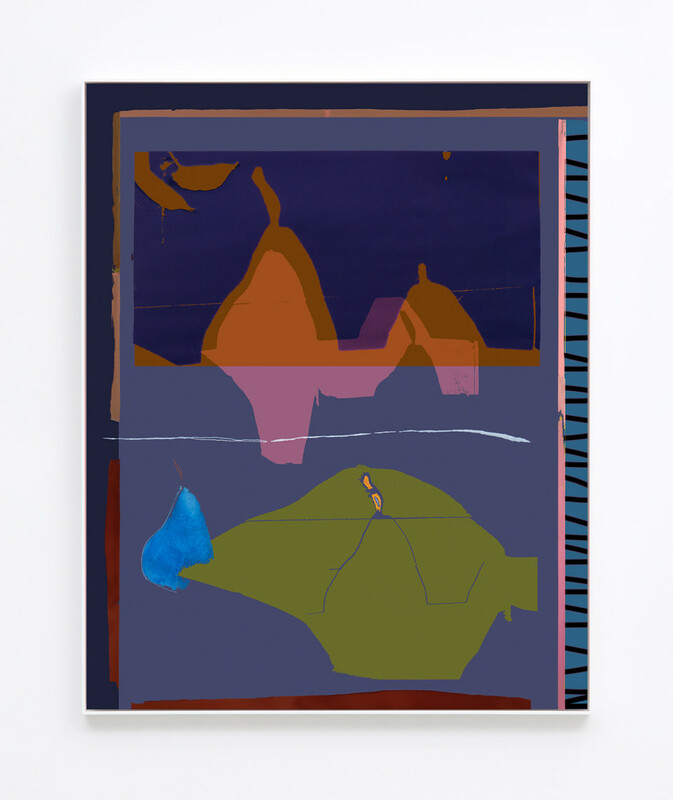 The show's title refers to the Photoshop tool that allows for colors to be selectively layered in an image and addresses the hybridized terrain of the photographic medium today. To make his still life pictures, Gordon begins by sourcing pre-existing common still life subjects from the Internet. He digitally enhances and repeats the images, prints them out and manually cuts and constructs elaborate three-dimensional paper tableaus in his studio that are then photographed with an 8 x 10 large format camera. 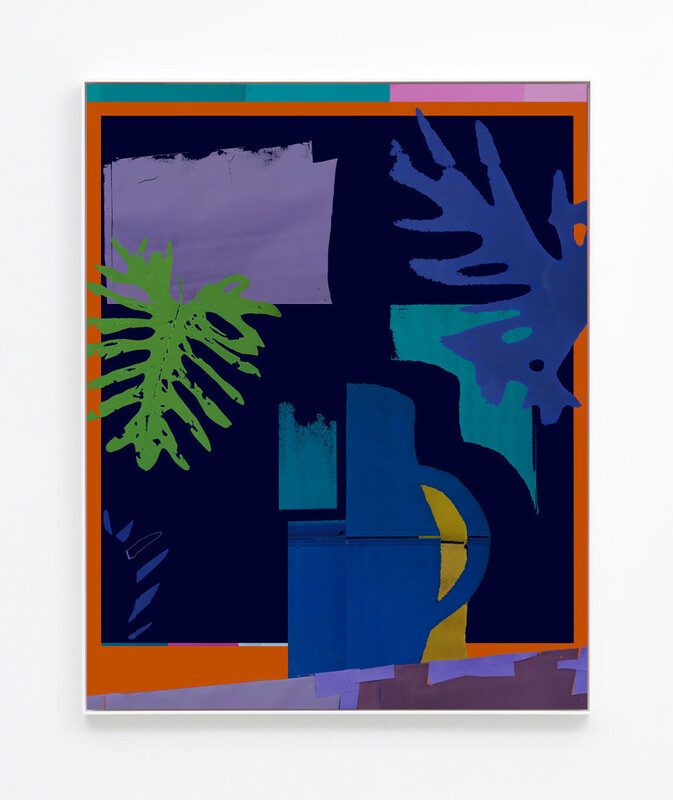 Merging the two dimensional with the 3D, the resulting works are a combination of sculpture, collage and assemblage and recall the recurring forms and fractured pictorial planes in works by Matisse and Cézanne, as well as Dadaist collage. 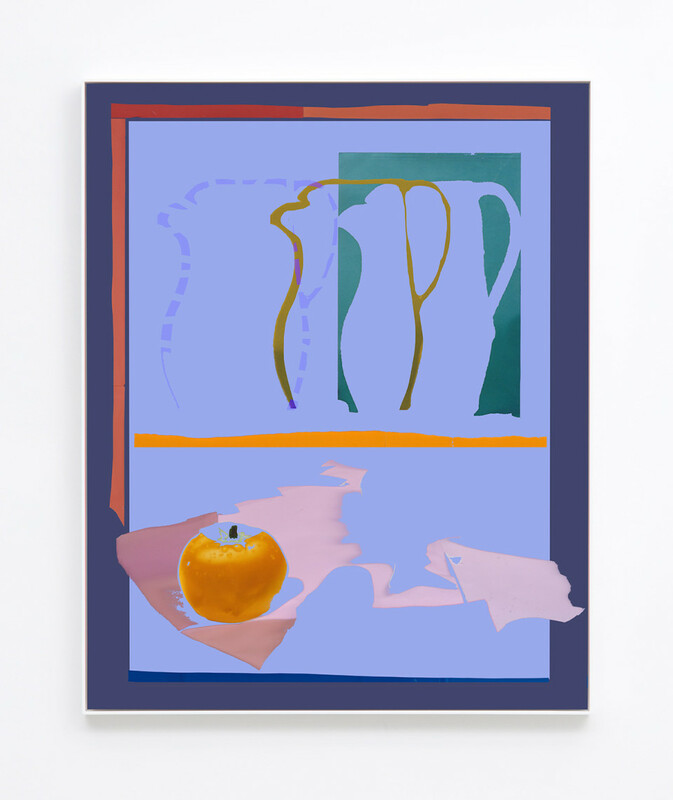 In the new series of Screen Selections, the artist's familiar subjects from his Still Lifes reappear as abstracted forms. 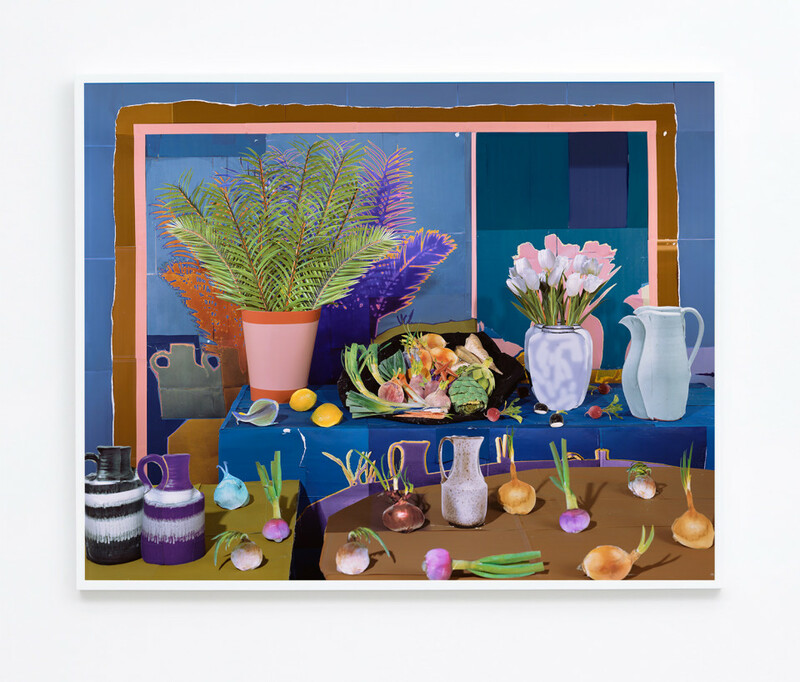 Printed on canvas, these works are created through a process wherein Gordon culls different sections and elements from his Still Lifes to create spare abstractions through a subtractive layering process in Photoshop. 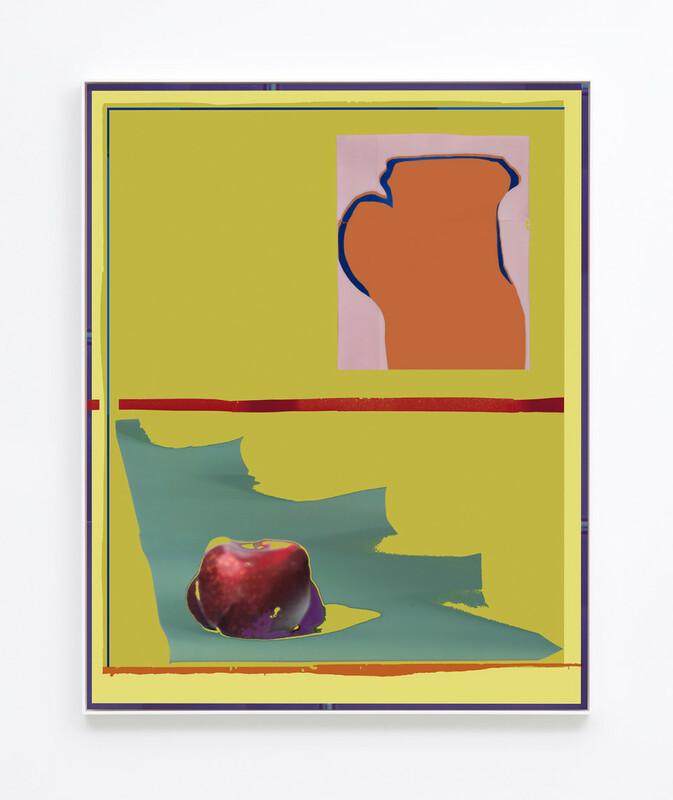 These compositions signal a turn towards a more formalist engagement with color and shape and explore the expressive, improvisational potential of the digital. The exhibition will also mark the debut of expanded Screen Selections as indoor murals, conceived specifically for the gallery space. Daniel Gordon (b. 1980, Boston, MA and raised in San Francisco, CA) received his BA from Bard College and MFA from the Yale School of Art. 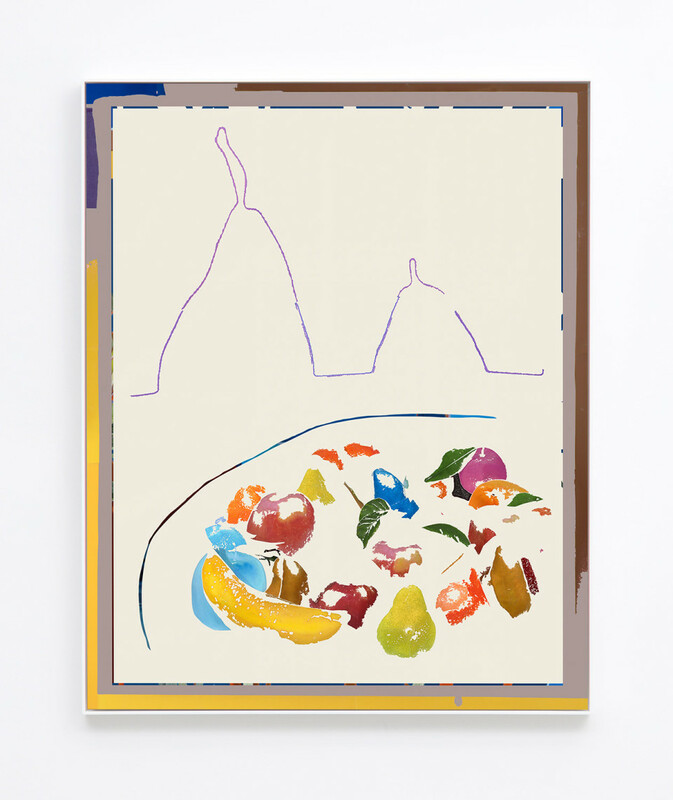 Recent solo exhibitions include New Canvas at James Fuentes, New York; Hand, Select & Invert Layer at Bolte Lang, Zurich; Fruits et Riche Vaisselle Sur Une Table 1640-2015 at One Star Press in Paris; Shadows, Patterns, Pears at Foam Museum, Amsterdam; and Screen Selections and Still Lifes, Wallspace, New York. Gordon's work has been included in the thematic exhibitions New Photography at the Museum of Modern Art in New York; Greater New York at MoMA PS1, New York; and Secondhand at Pier 24, San Francisco, among others. In 2018, his work will be on view in Cut! Paper Play in Contemporary Photography at the Getty Museum in Los Angeles. Notable press includes Frieze, The New York Times, ARTFORUM, Modern Painters and The New Yorker. He is the winner of the prestigious Foam Paul Huf Award. Gordon has been a critic in photography at the Yale School of Art. His work can be found in the collections of the Guggenheim Museum, New York; Museum of Modern Art, New York; and Museum of Contemporary Art, Chicago, among others. A monograph, Still Lifes, Portraits & Parts was published by Mörel Books in 2013. Daniel Gordon lives and works in Brooklyn. To download a preview of the exhibition, click here. For press inquiries, please contact info@mbart.com. For all other inquiries, please contact Shannon Richardson or Jonlin Wung, or visit our website at www.mbart.com.